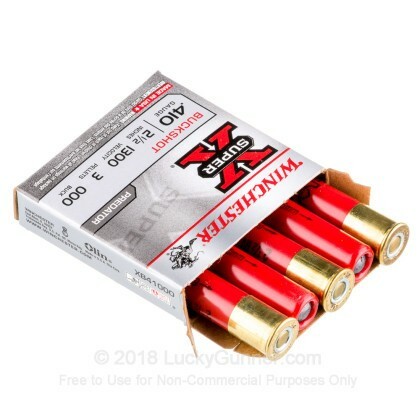 Super-X Shotshells by Winchester are hard-hitting and reliable. From deer to upland birds, there is a Super-X Shotshell for almost every quarry. 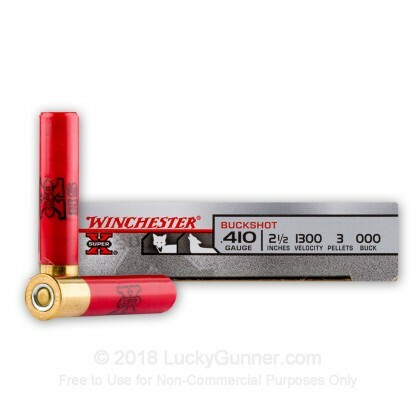 This 410 ga 000 buckshot makes perfect ammo for this gun. Went to back of my property & stepping off with extra stride to make sure I had approximately 50 meters then I had to stride 10 more long strides before I had two trees to hang clothesline between. 1 high & the other lower. I hung the target that you can see where you hit. I shot the first shot & man was I surprised when I walked up to see where I hit. All 3 pellets was in the bulls eye & so tight a group that I was really amazed & so was my neighbors who was shooting with me. I really couldn't believe the #3 buckshot pellets traveled that distance & held such a tight group. Burned clean & no smoke or any problems. Will buy this ammo again!!!!!! 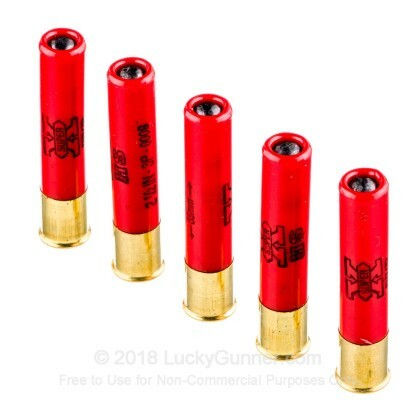 First time shooter of a Judge and 410 shells. I was a little worried about pistol kick but my wife and I loved shooting with 410s. 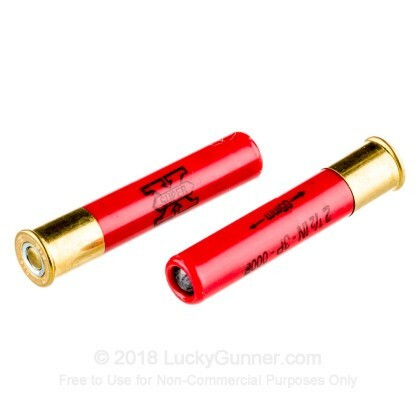 Shot both winchester and feredal judge loads. federal had more knockdown power but their loads swelled in 6 of 15 shots and prevented the cylinder from turning. 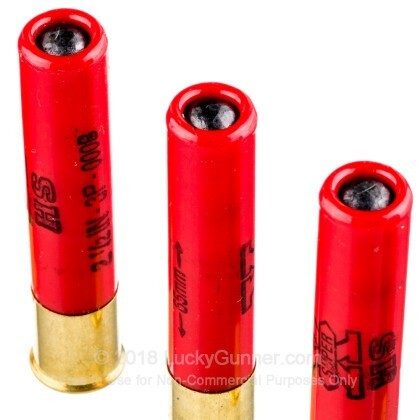 Winchester loads did not have a bad one and it would be more dependable should a personal defense situation ever come up. 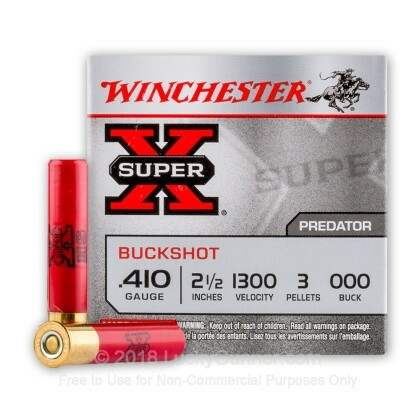 We also have this 410 Bore - 2-1/2" Super-X 000 Buck - Winchester - 250 Rounds ammo in stock in a bigger quantity.